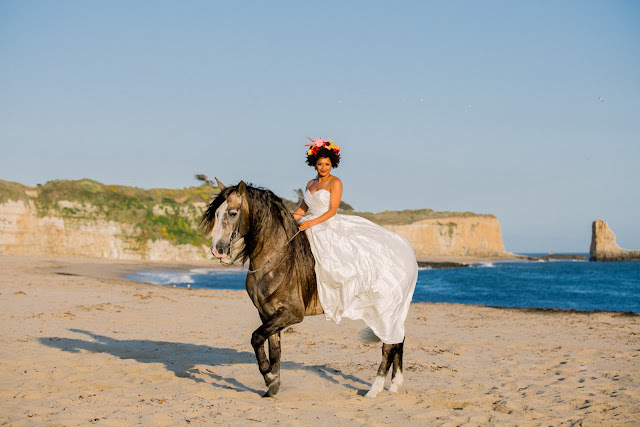 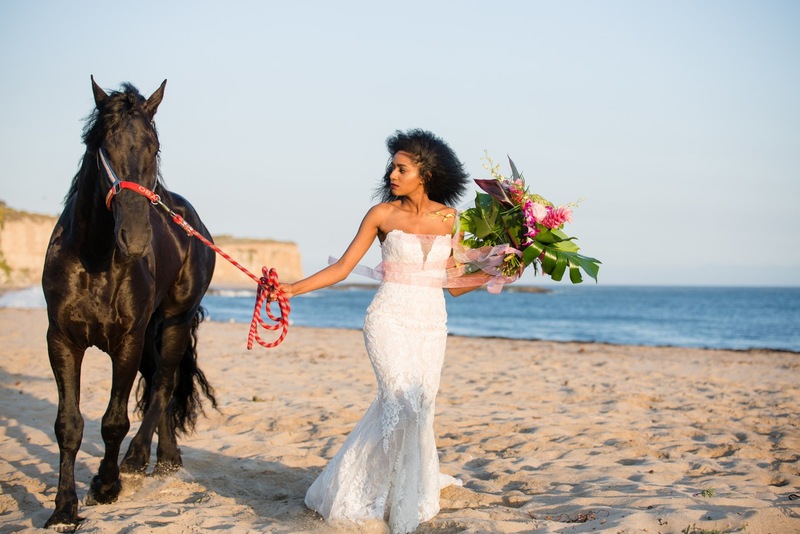 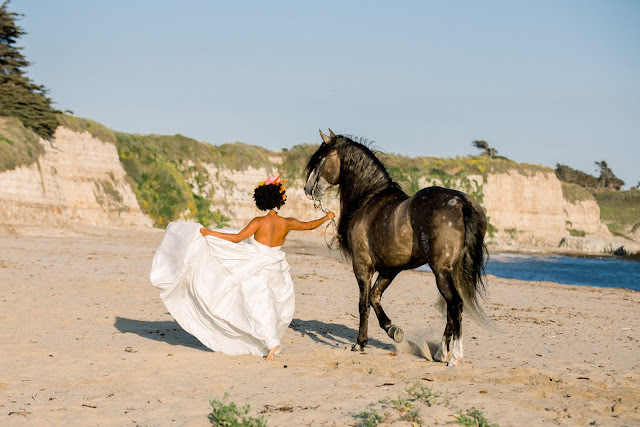 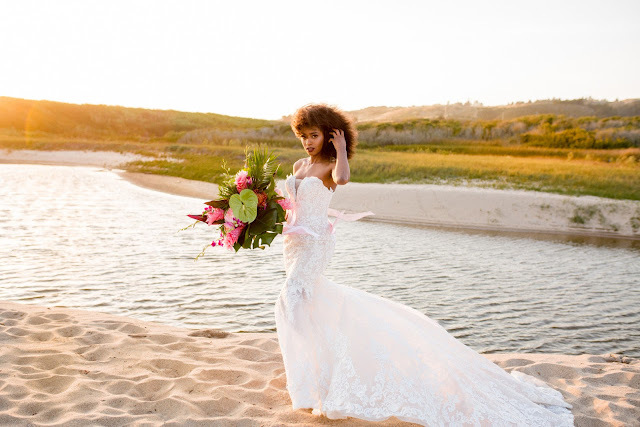 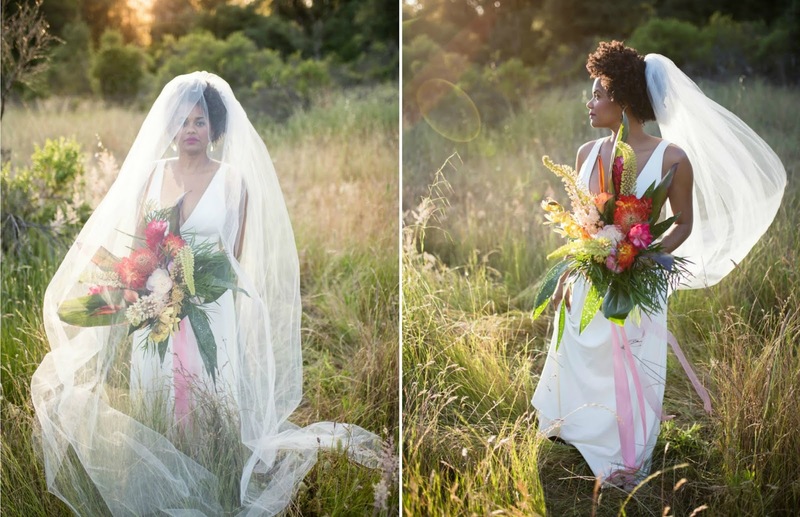 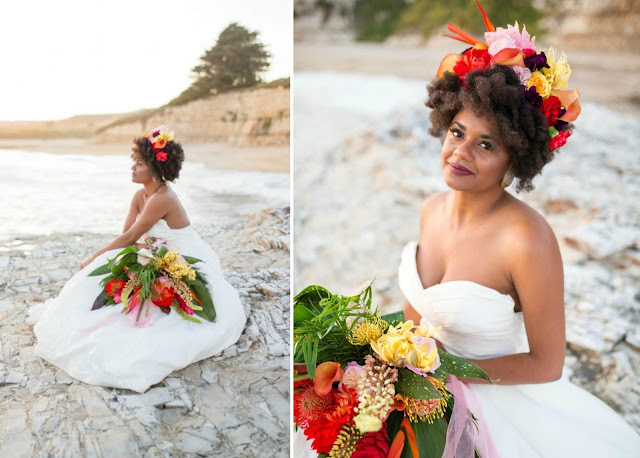 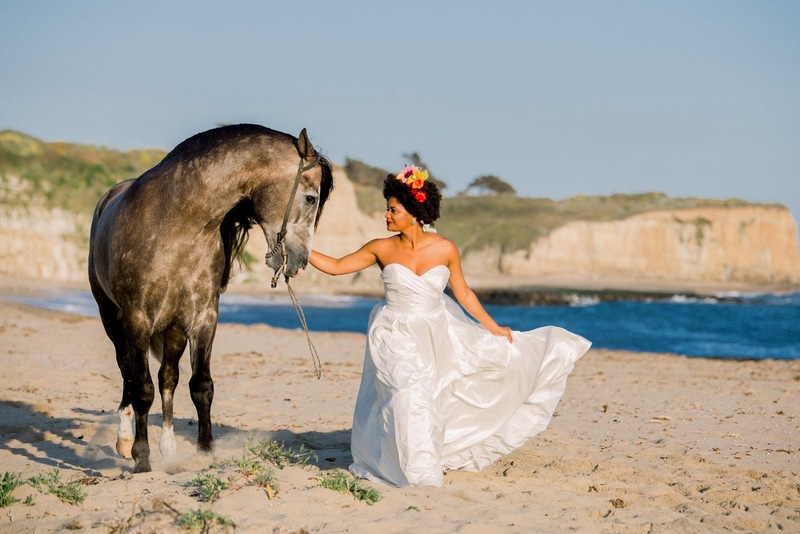 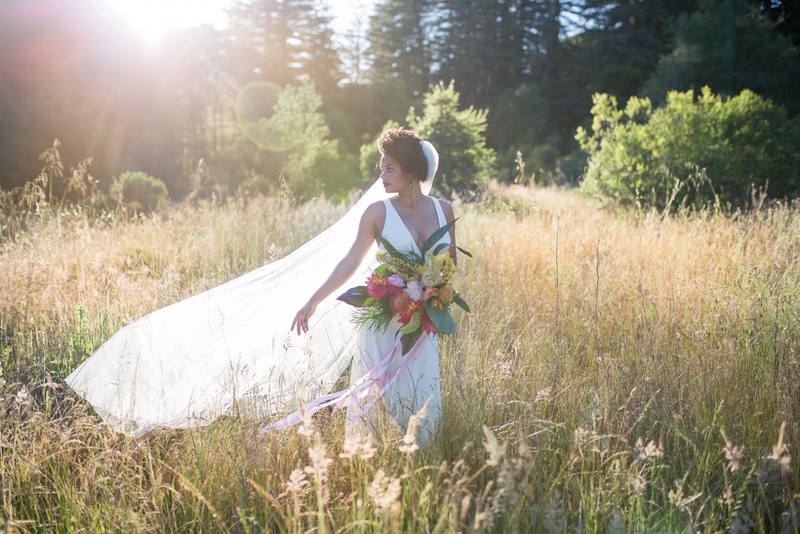 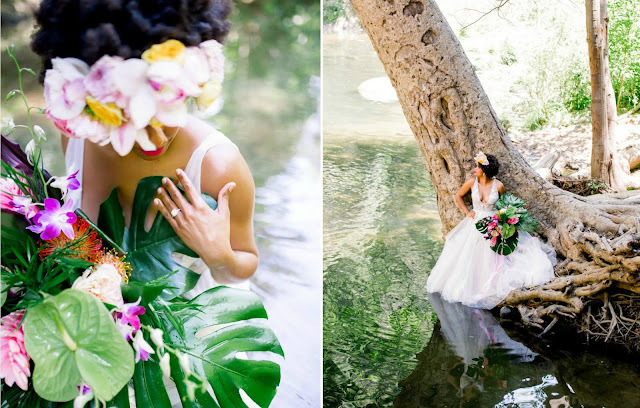 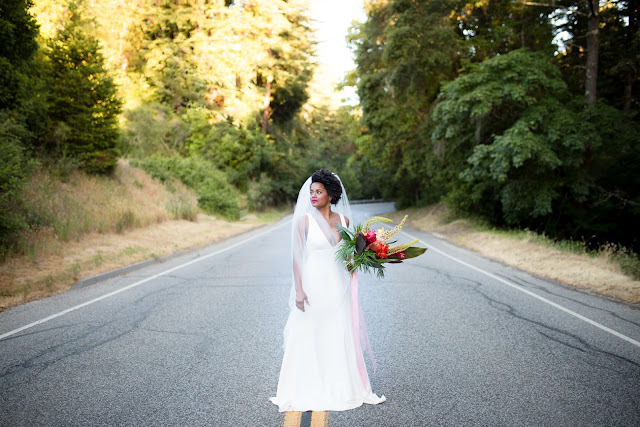 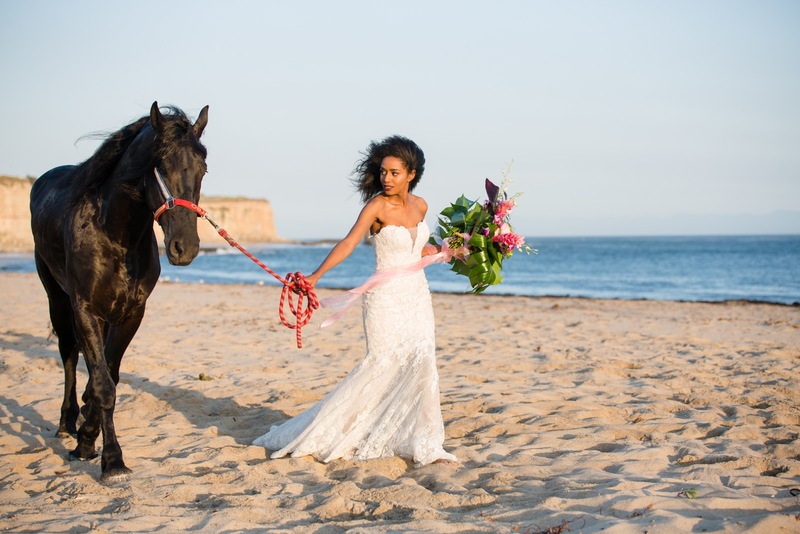 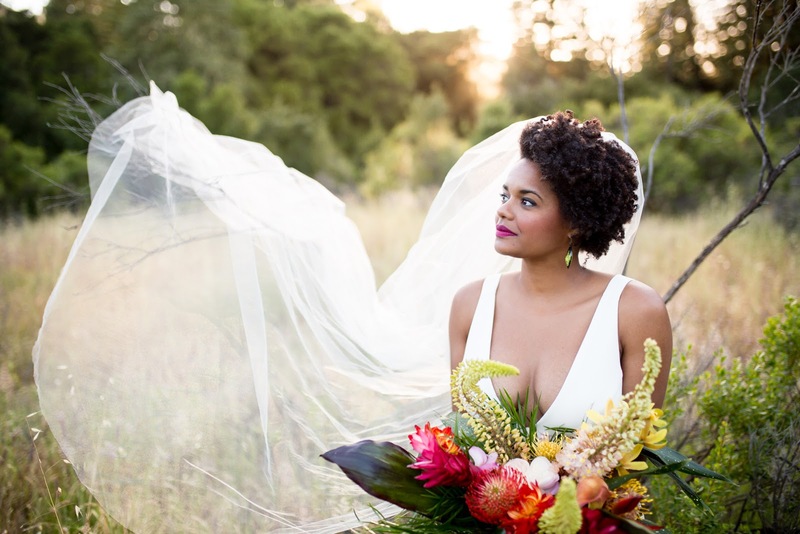 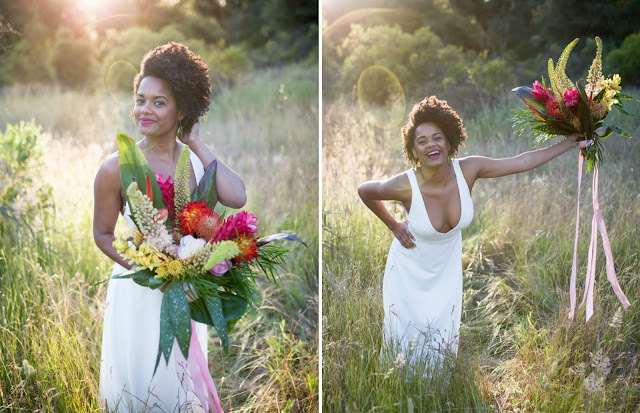 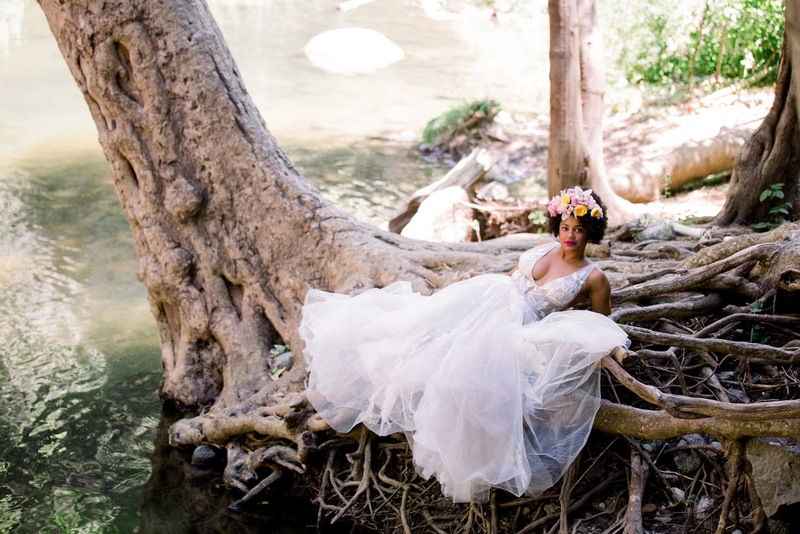 This is one gorgeous editorial shot along the central coast of Santa Cruz. 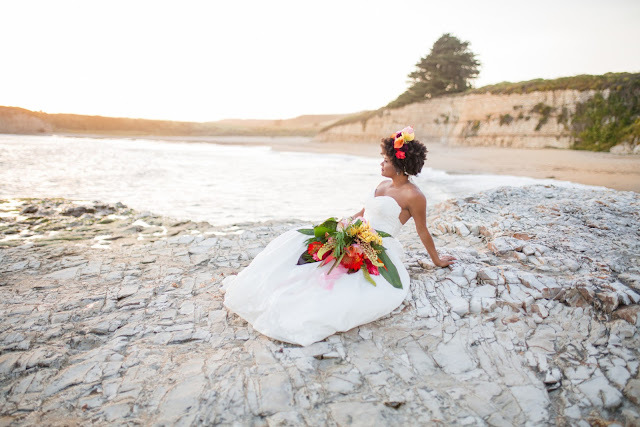 Shark Fin Cove at sunset was the time and place Amber Amelingmeier of De Joy Photography captured this poetic collection of images. 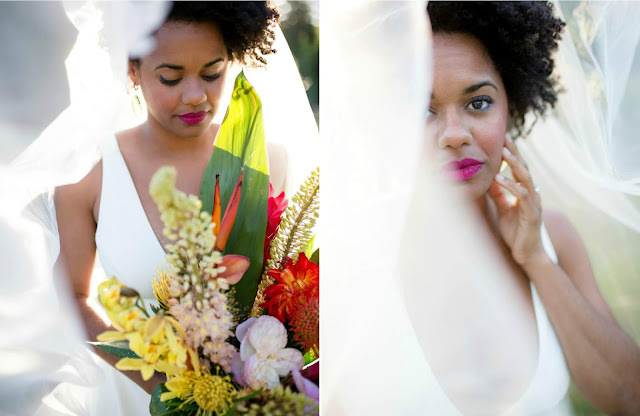 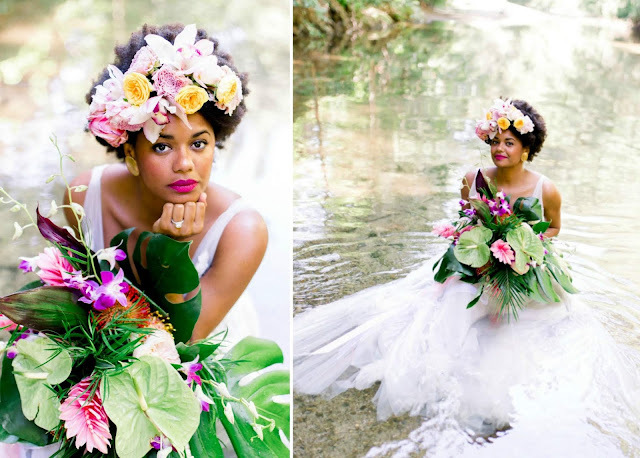 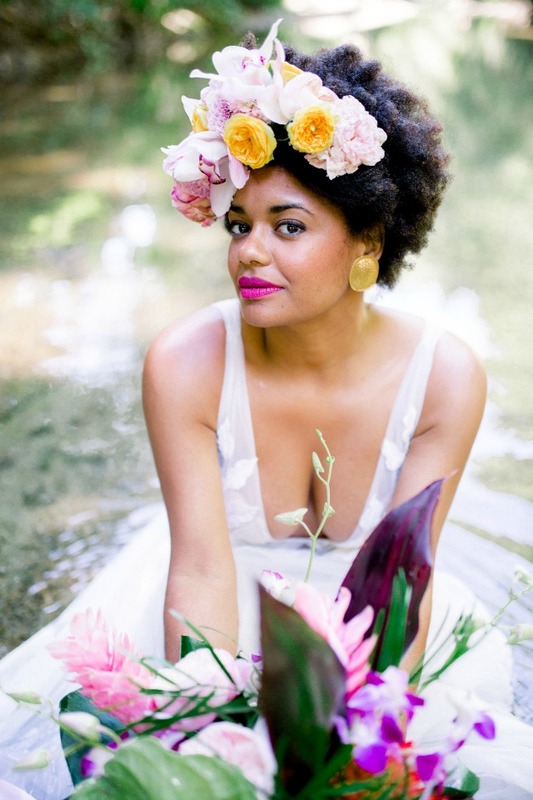 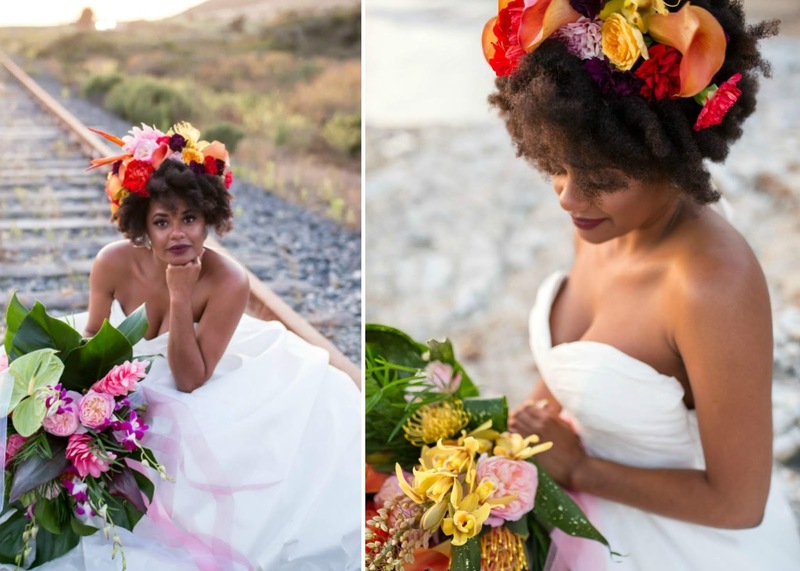 I adore the pops of color in the head wreaths and large tropical bouquets that so compliment the gowns. 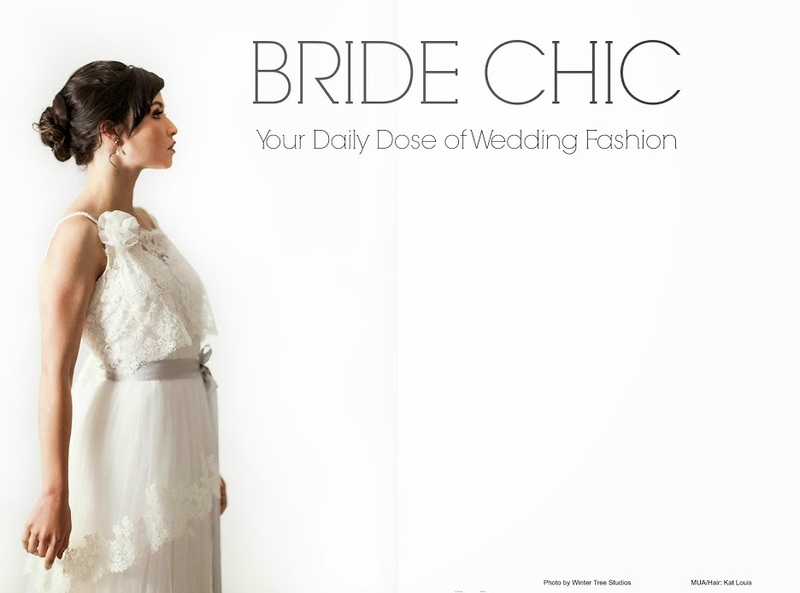 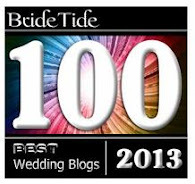 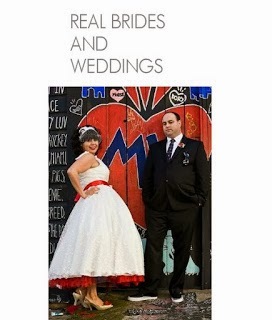 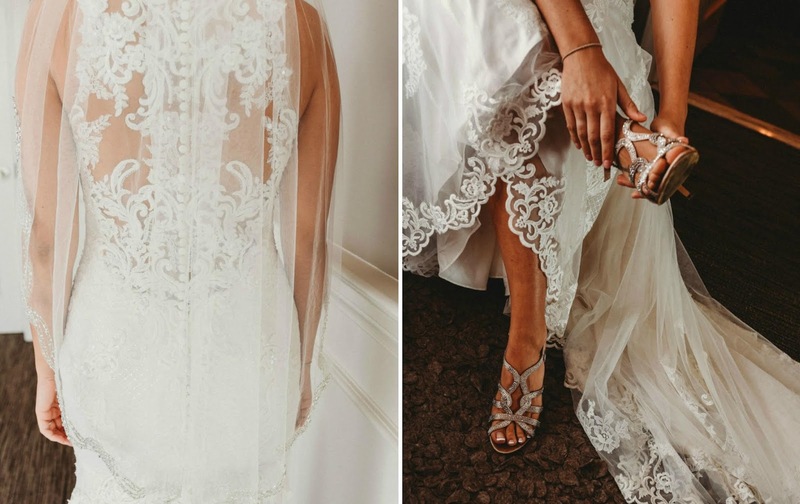 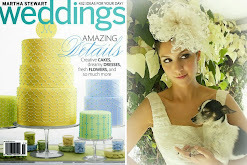 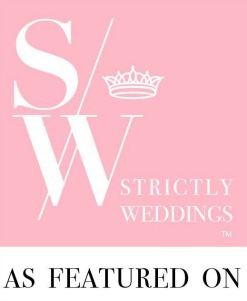 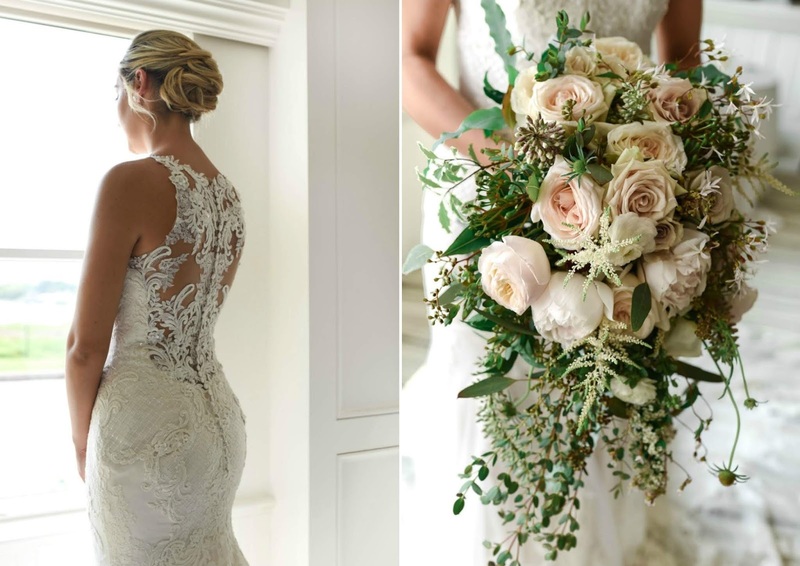 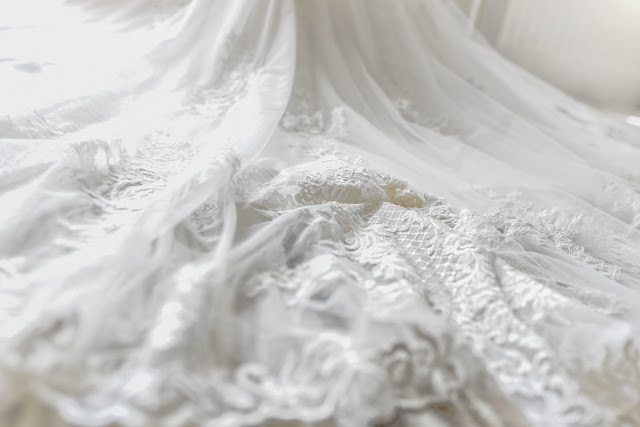 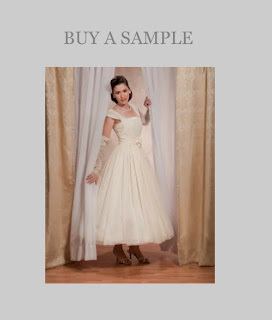 For me florals and lace are the very essence of the quintessential in bridalwear and decor. 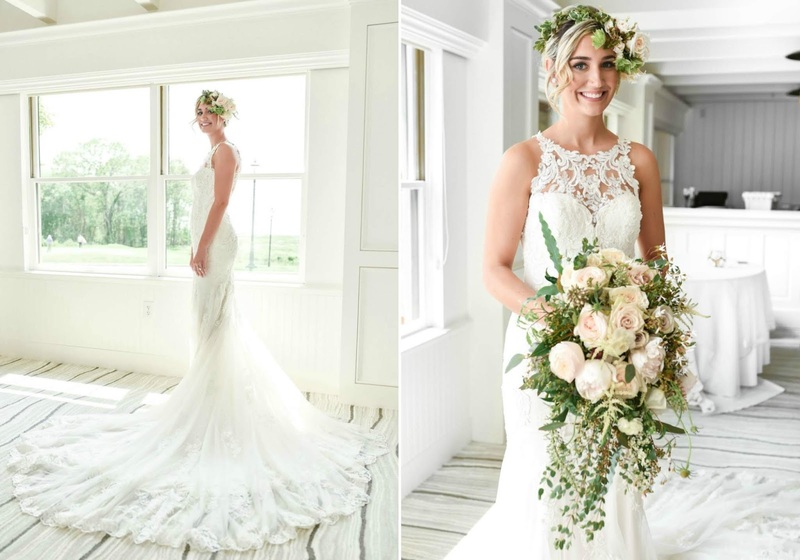 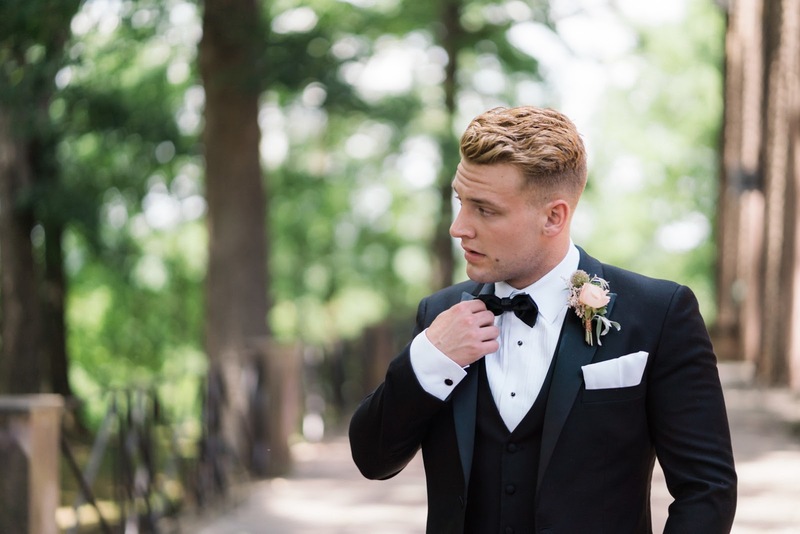 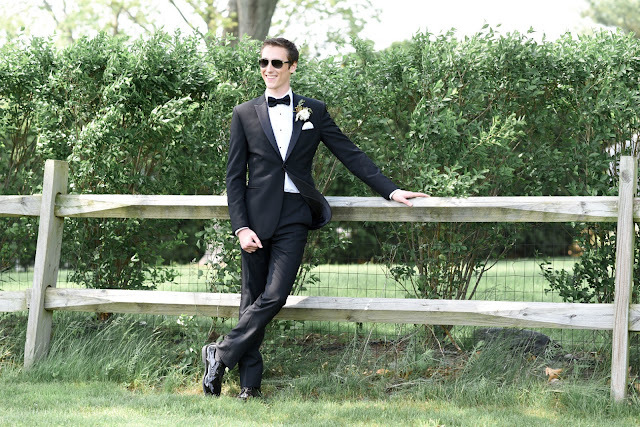 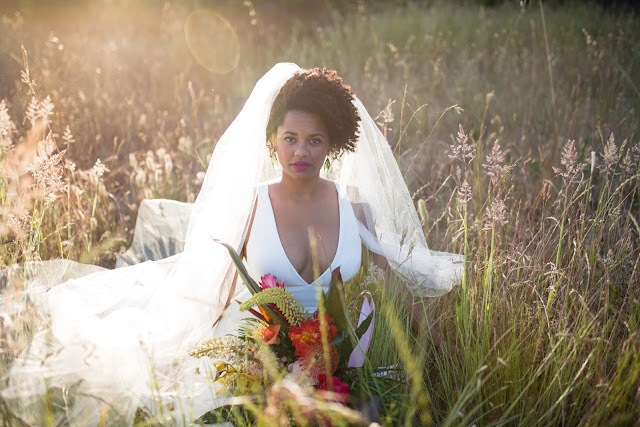 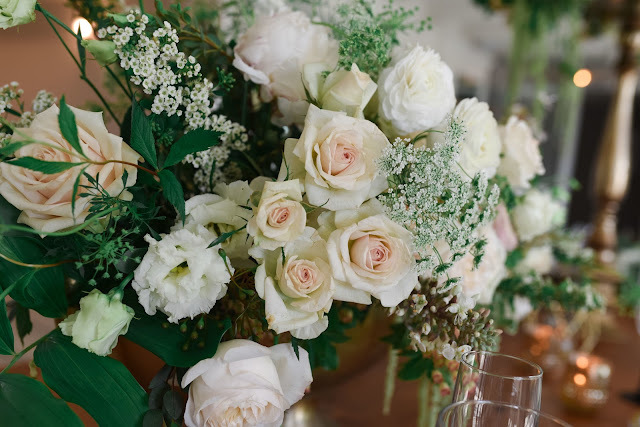 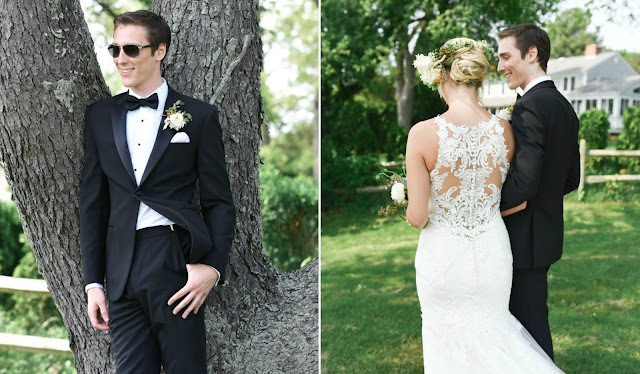 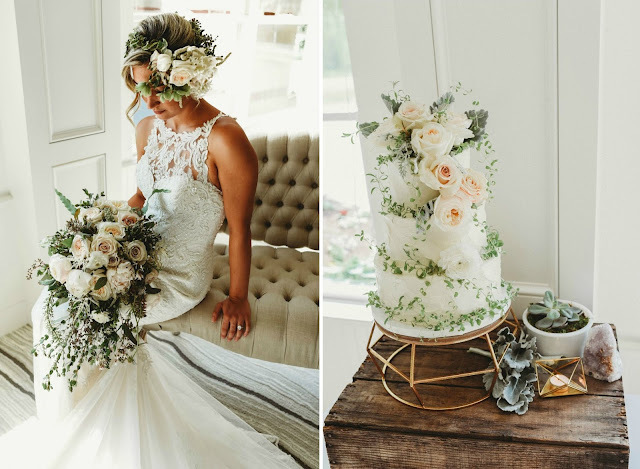 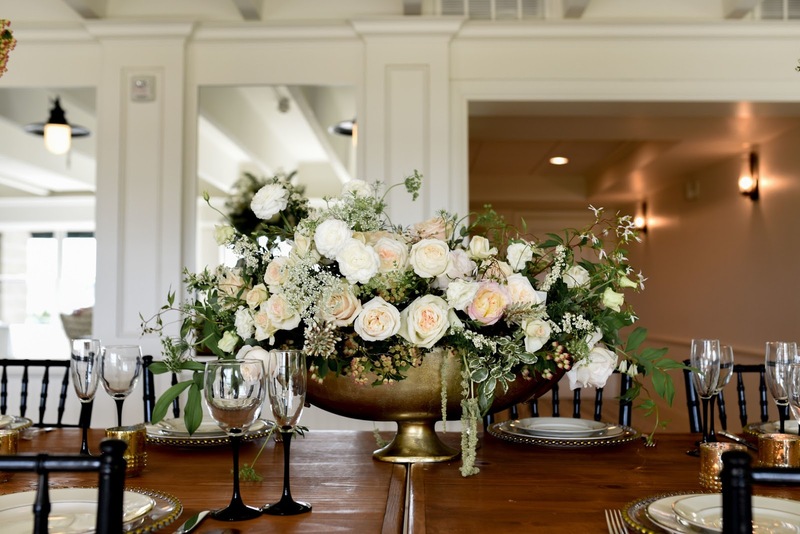 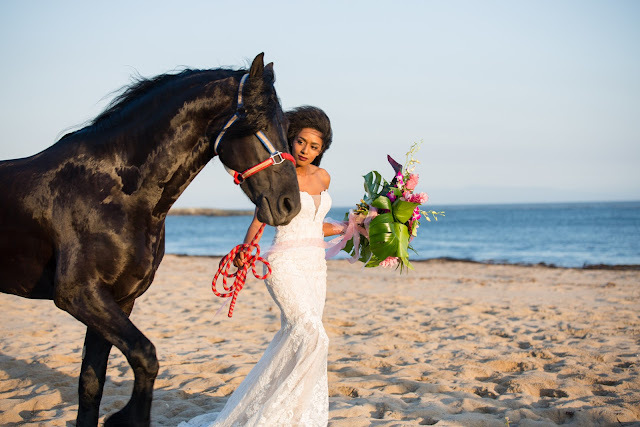 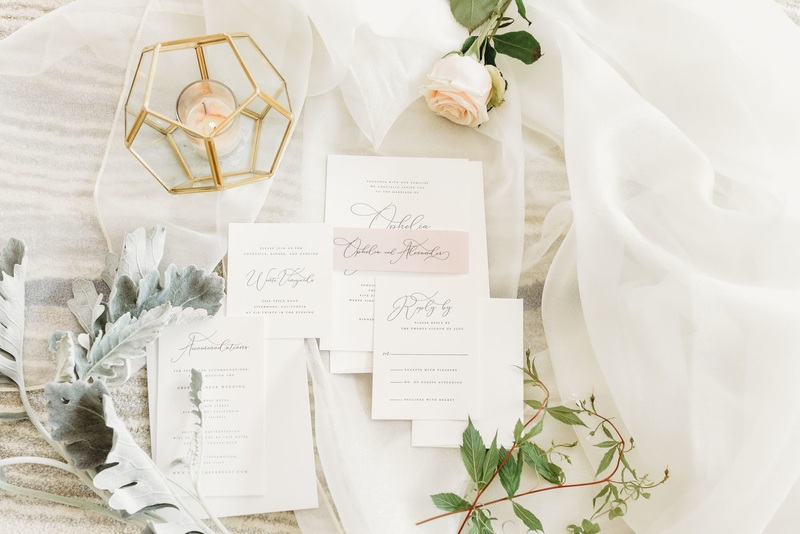 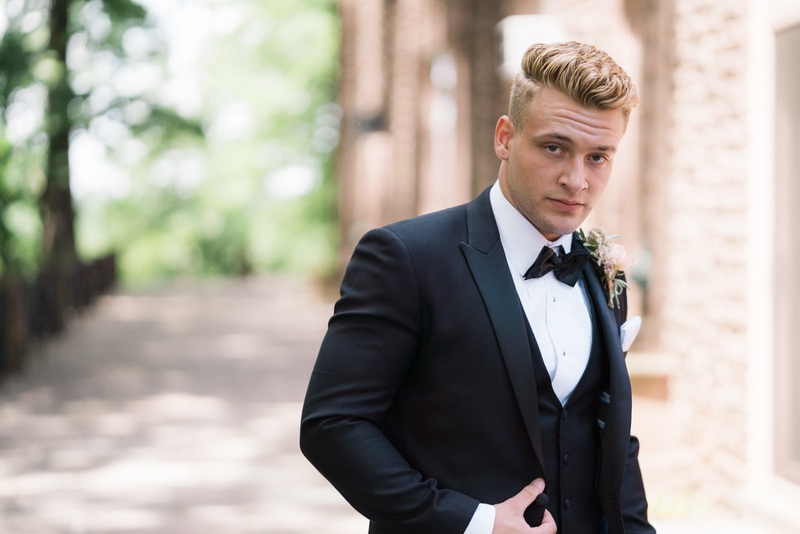 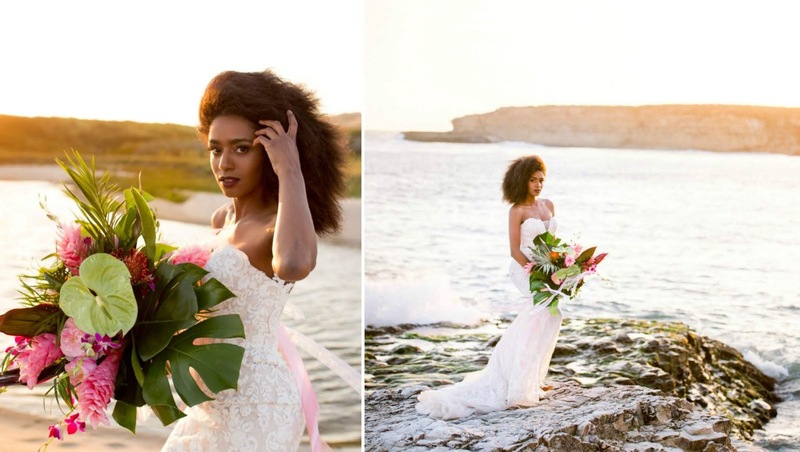 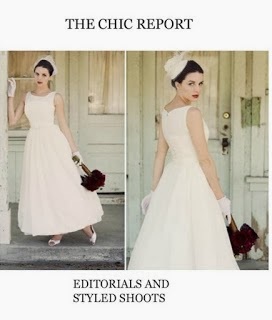 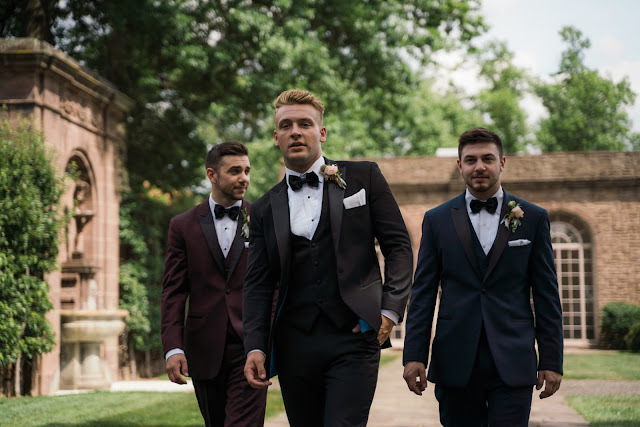 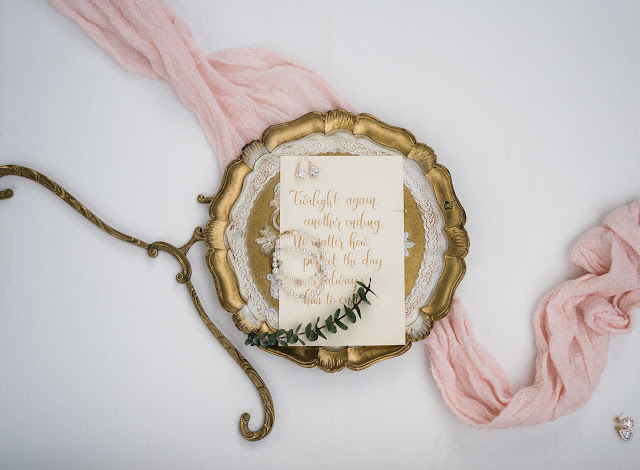 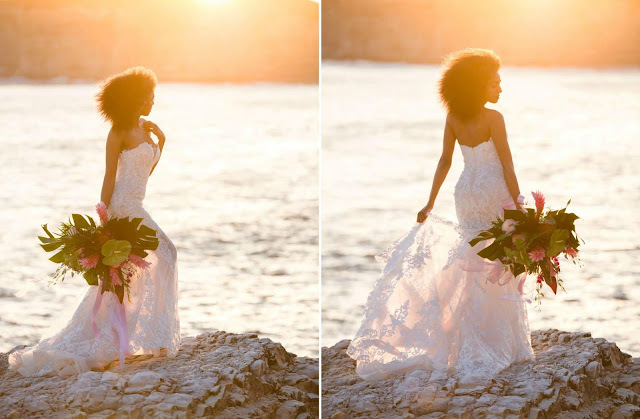 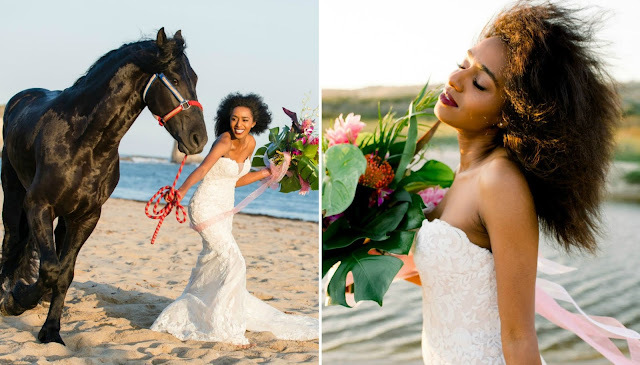 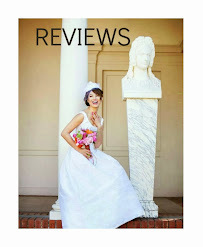 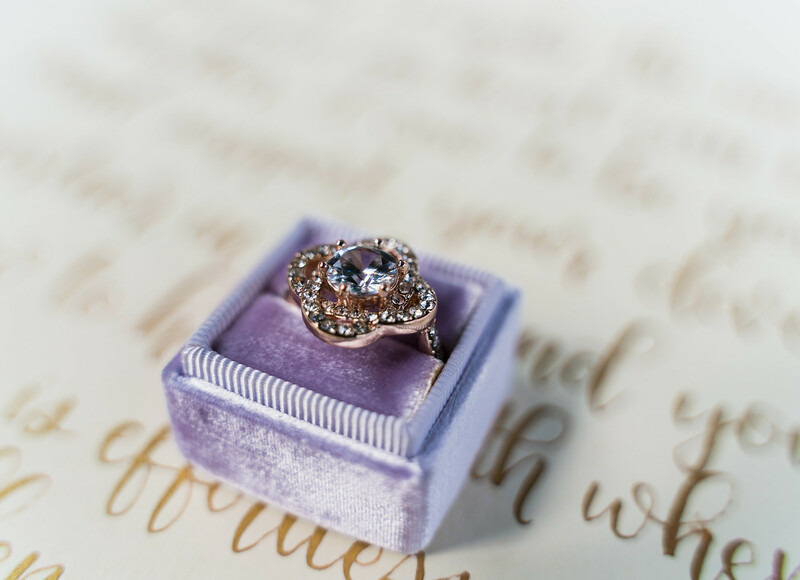 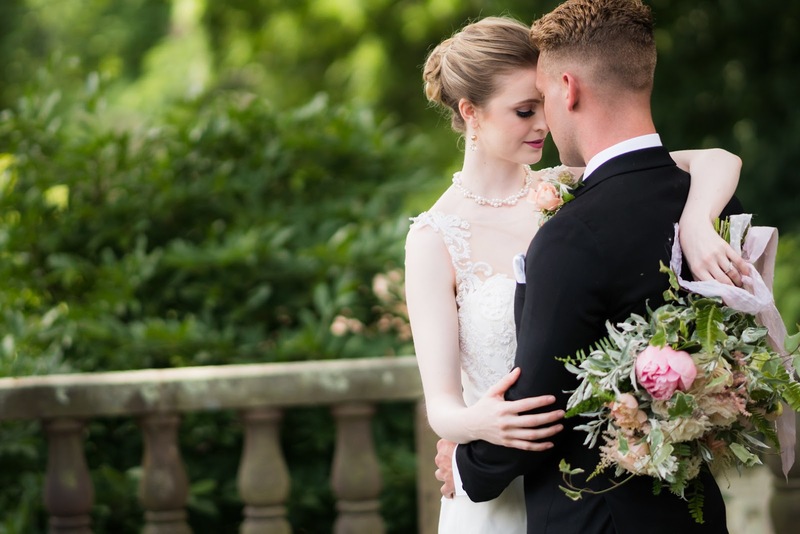 Rhode Island based Photographer, Khailah Craven along with a team of top-notch wedding pros, has captured classic as well as elegant touches in this beautiful editorial. 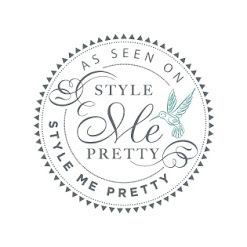 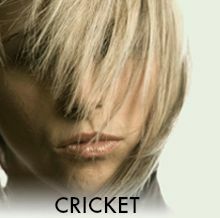 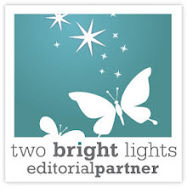 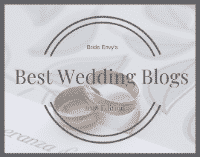 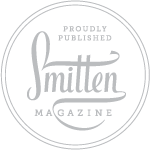 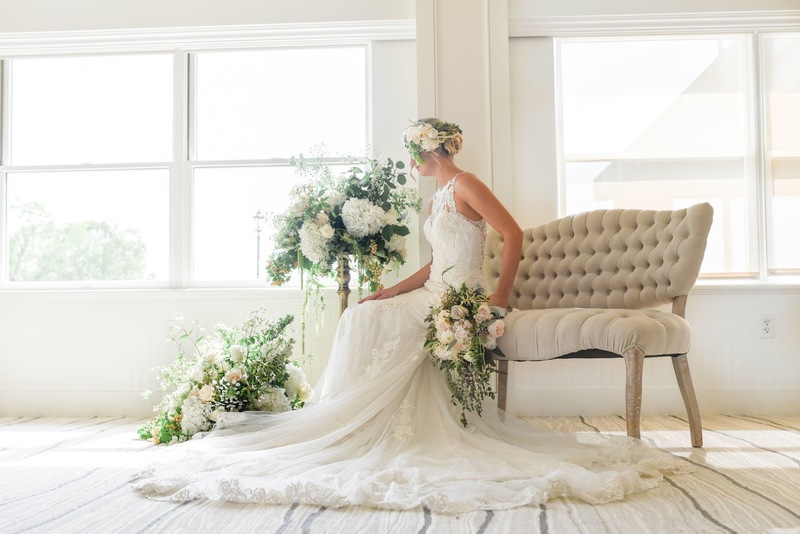 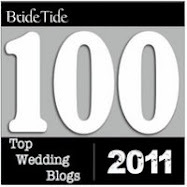 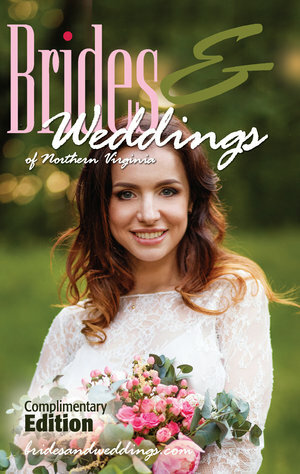 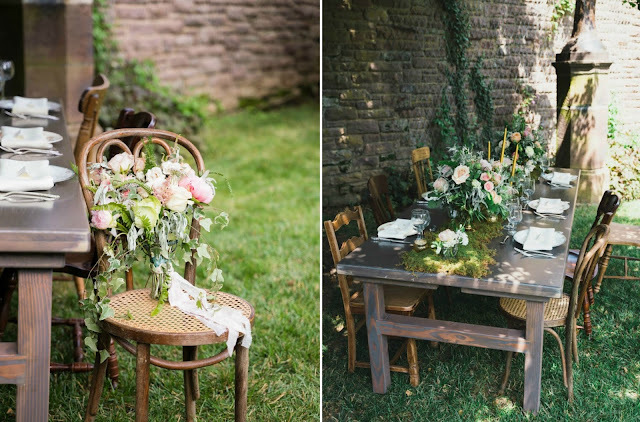 The theme here is modern, soft and timeless, weaving in boho and traditional details . 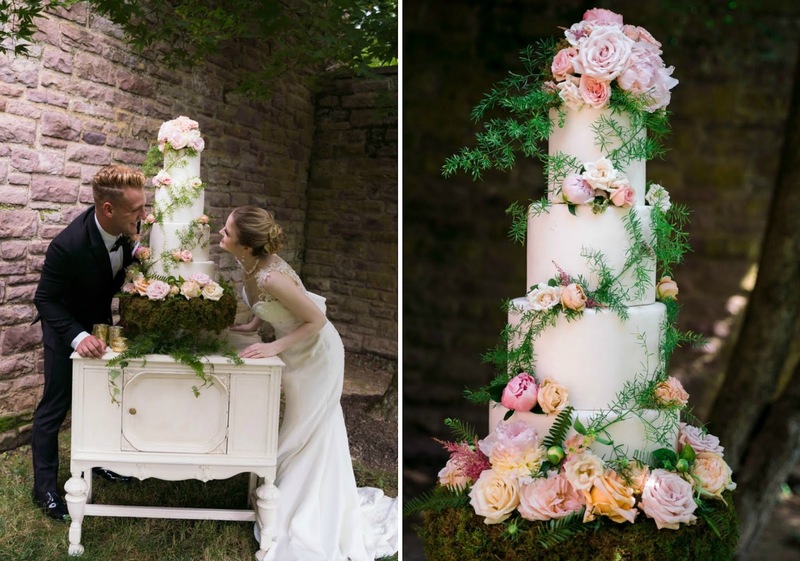 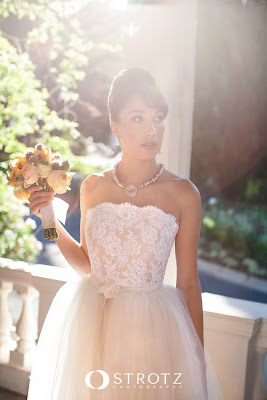 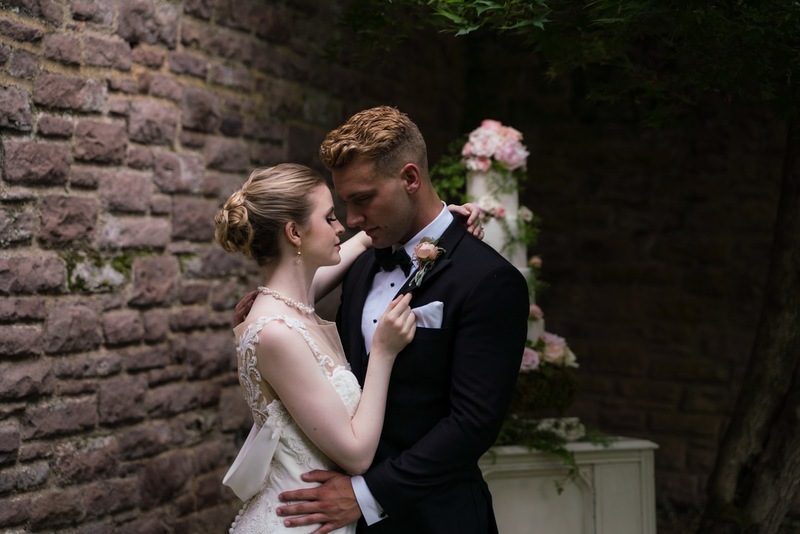 . . . .
Straight out of a fairy tale comes this whimsical styled wedding shoot at Tyler Gardens in Newtown PA. 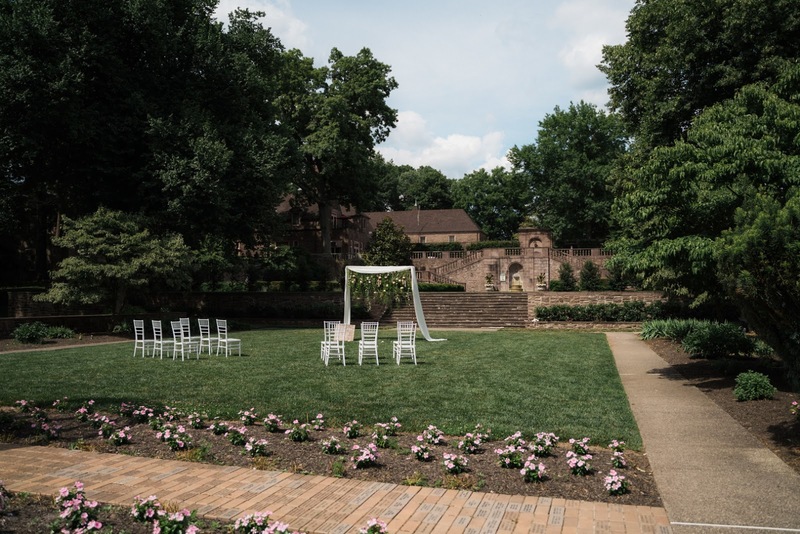 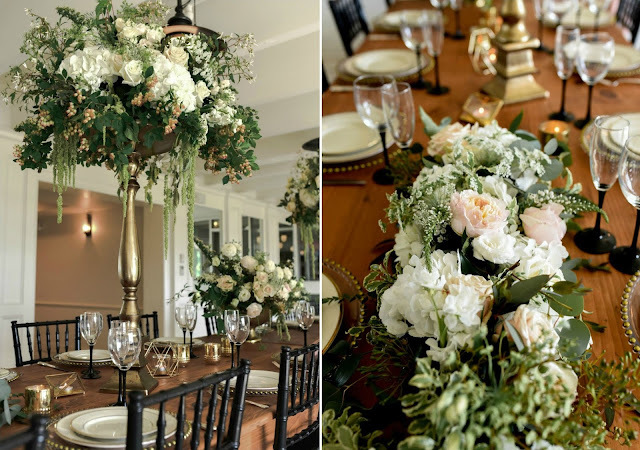 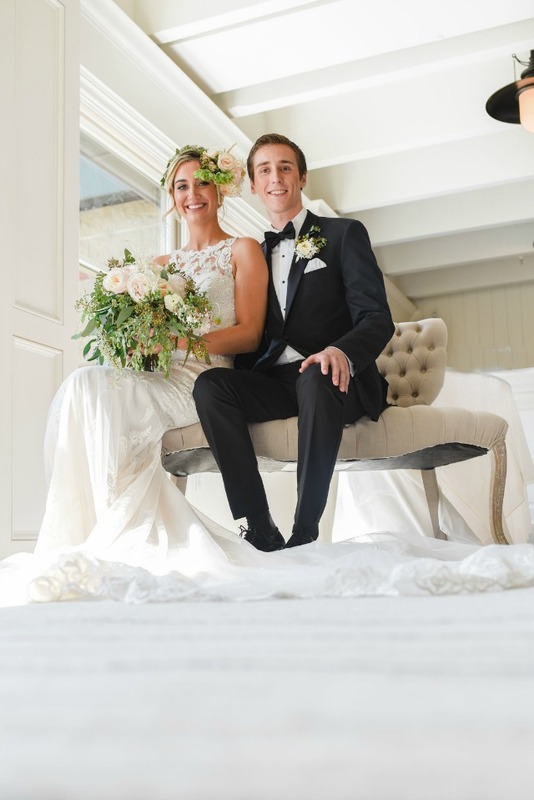 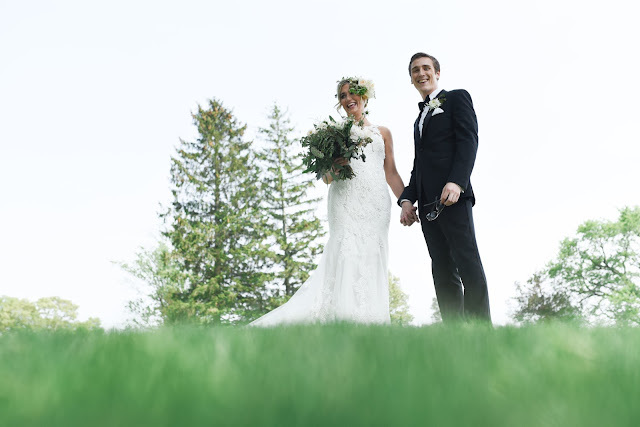 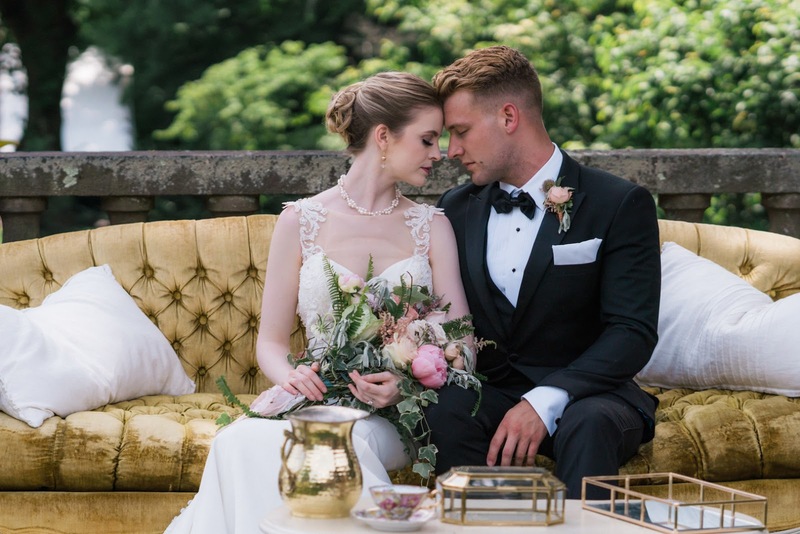 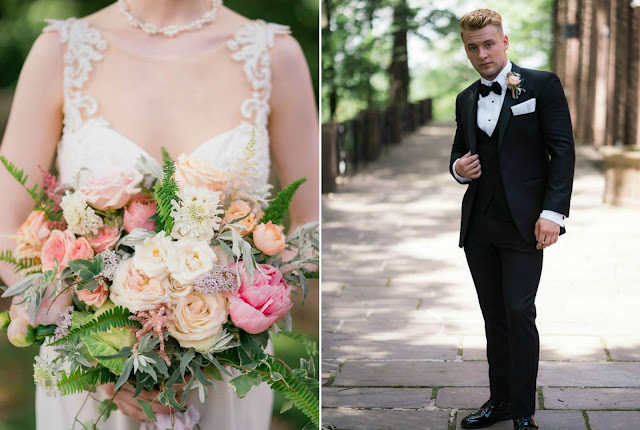 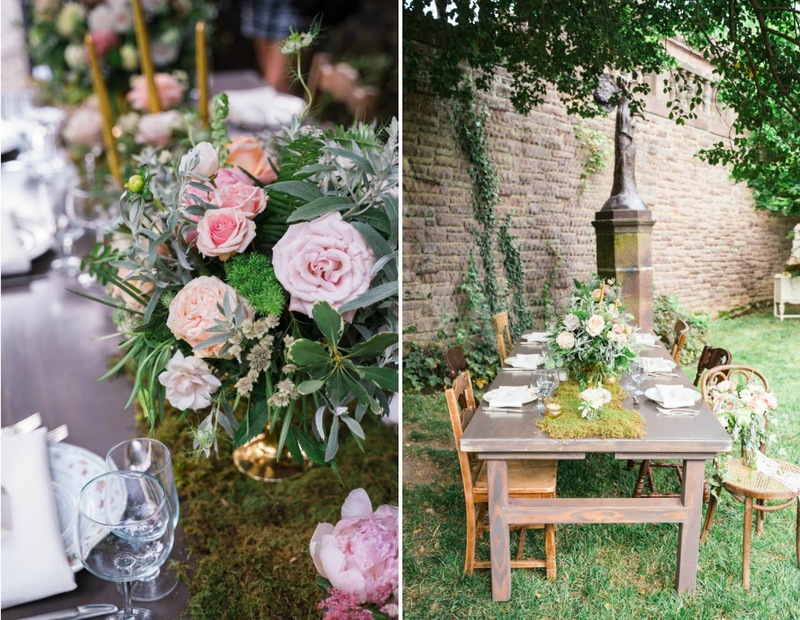 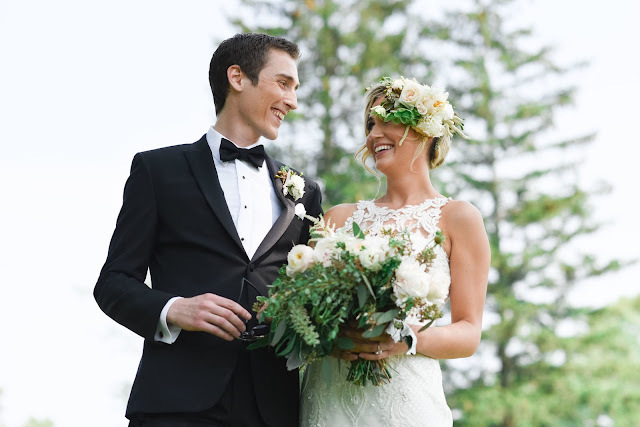 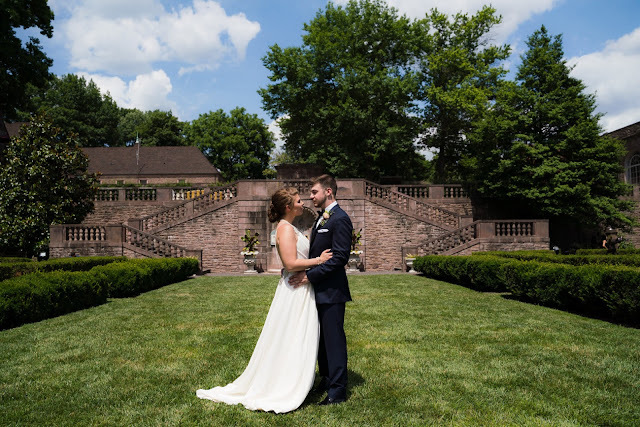 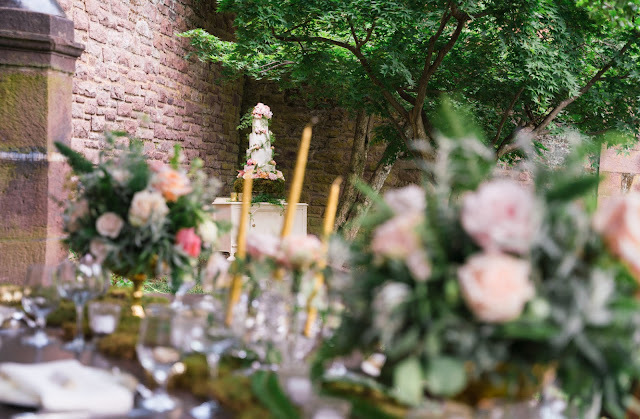 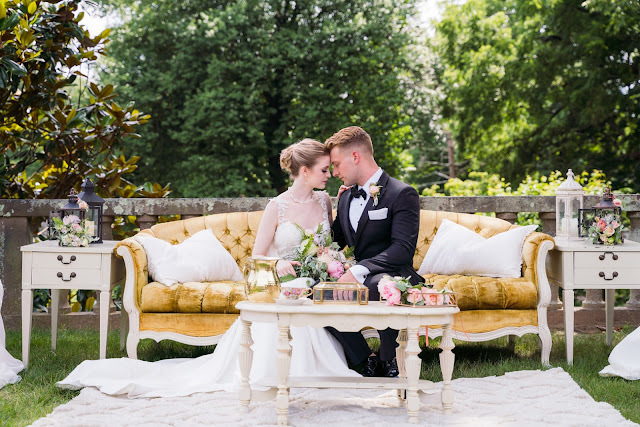 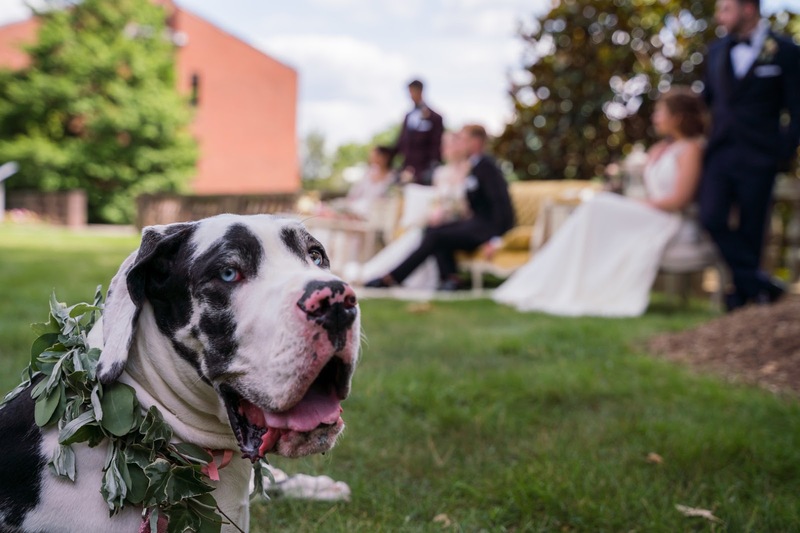 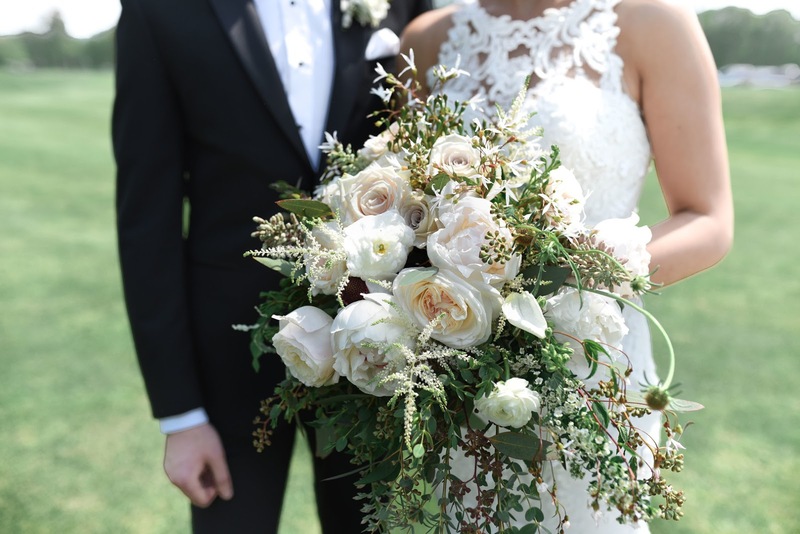 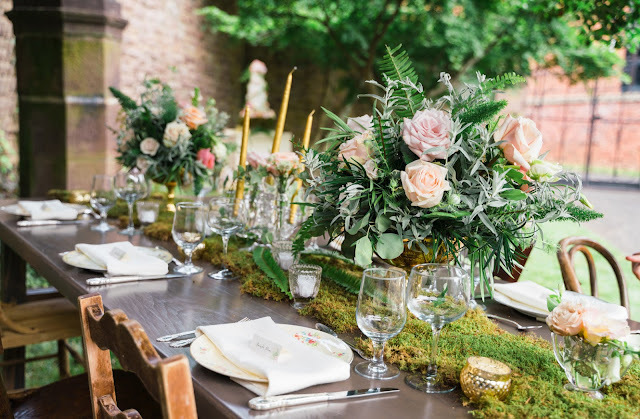 This styled wedding was elegant, yet retained a natural outdoor vibe by combining beautiful vintage furniture and decorations with breathtaking floral designs coupled with the natural beauty of Tyler Gardens in Newtown PA. 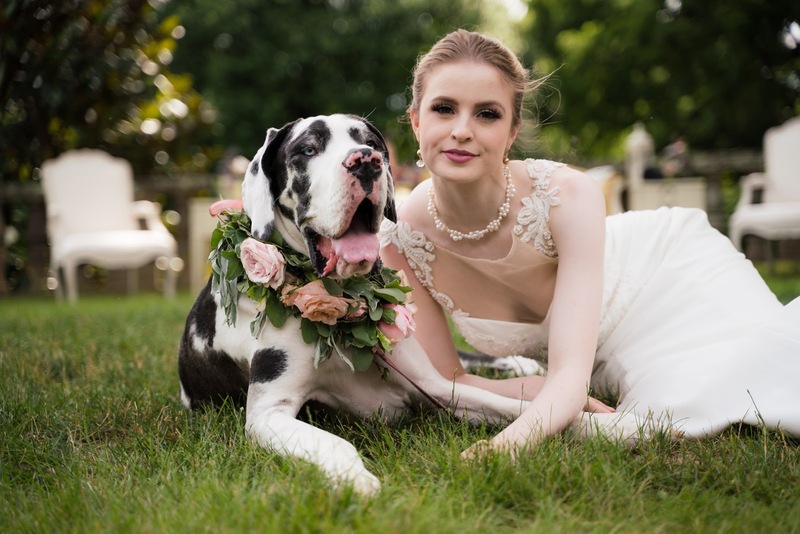 Being an outdoor shoot allowed for the use of two beautiful pups to help provide a fun atmosphere along with many unexpected moments! 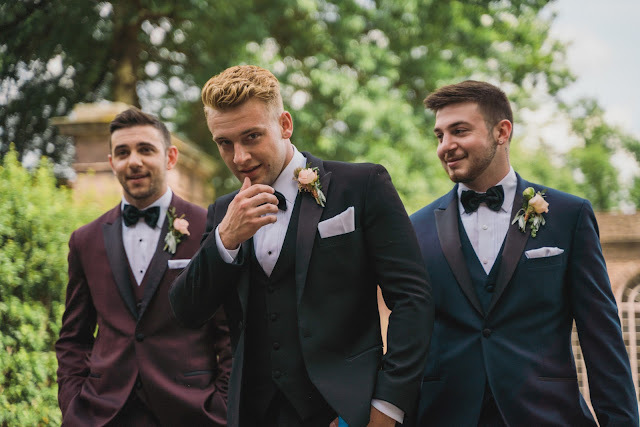 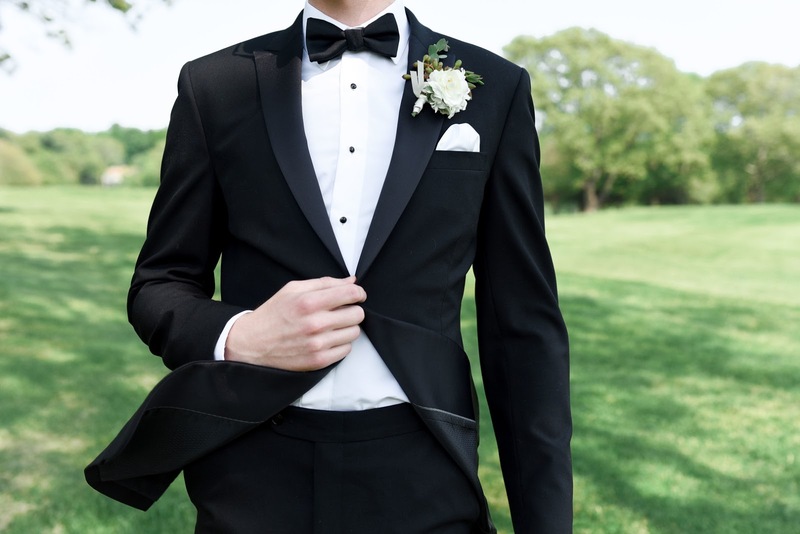 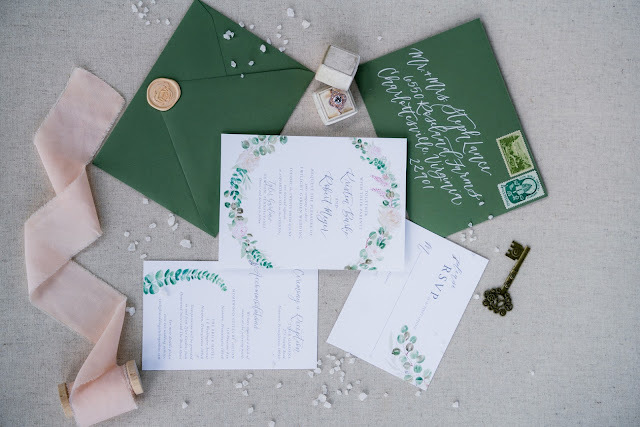 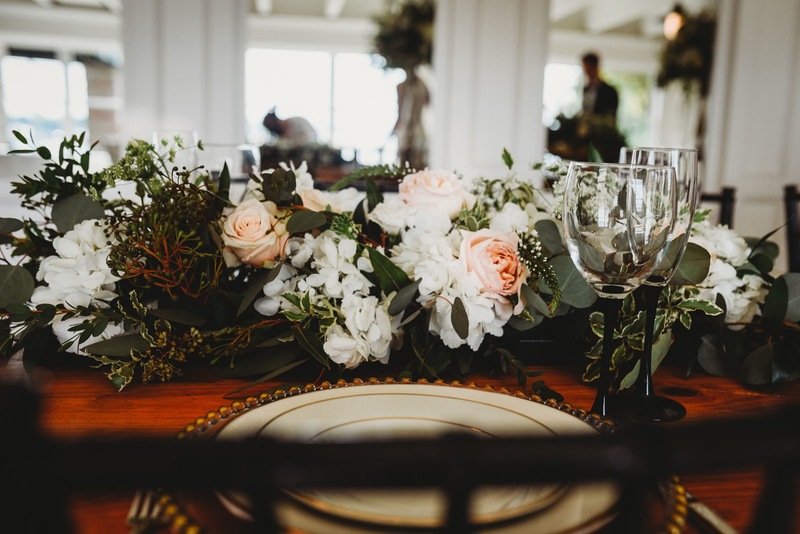 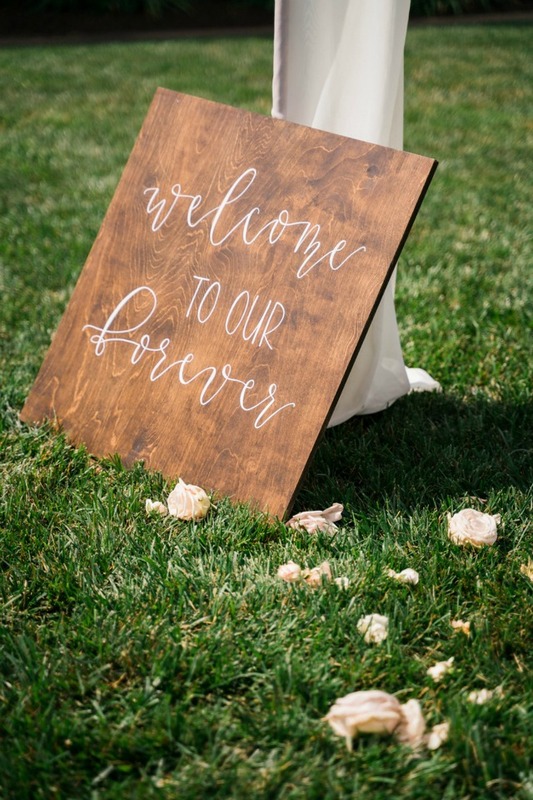 This wedding theme can be used across the board with many different religious beliefs and backgrounds and will be sure to leave your family and guests talking about how beautiful the day was for years to come!